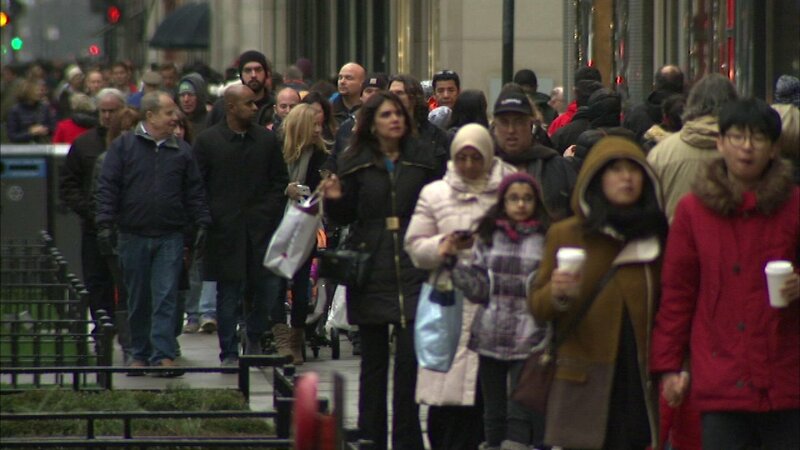 CHICAGO (WLS) -- Shoppers all over the Chicago area are hunting for after-Christmas bargains Saturday. The weekend after the holiday is the time to go out and grab some of the best deals of the season, and many retailers on the Mag Mile are slashing prices selling off extra inventory. Experts say the best bargains are in apparel. Shoppers are finding big bargains with winter clothing. "The coats and hats and things like that, mittens," said shopper Sara Gramata. "Since it's been so warm here in Chicago, I feel like more of that stuff has been on sale." "I ended up picking up a little Coleman sports grill for the summer when I play softball at Humboldt Park and I just seen that it was on a clearance, a good deal," shopper Ronald Melendez said. Gift card sales reached a new peak this holiday season. A whopping $130 billion worth of gifts cards were given as gifts.